We enjoy helping our customers with unique IKEA kitchen designs. 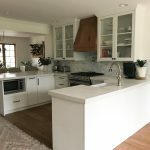 IKD customer, Corina from Lafayette, CA, tells us about her IKD/IKEA kitchen experience. What did your kitchen look like before? All set? Great, let’s start by working through Question #1! 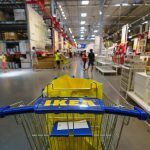 I’m from Germany originally and people have been doing IKEA kitchens there for a much longer time than here. I trust the quality and feel their style matches what I like better than most other cabinet companies. I saw examples of kitchens they did online and read recommendations. After comparing to some companies I felt they would offer the best and most reliable service. Yes, I went with one of the recommended Installation companies from Install Connect and never had a doubt it was the right decision. It was set up in 1 1/2 days. My main concern was that we relied on our own measurements and that everything would fit the way it was planned to fit. Especially that our appliances fit since we chose Samsung and not IKEA appliances. Yes, I reviewed Pinterest, Houzz and some European design sites. $35,000 including everything: Samsung appliances, counters, cabinets and installation. We got a concrete-look alike quartz from IKEA. A spontaneous decision when we realized the 15% off kitchen event includes countertops. Your words of advice to future IKEA kitchen remodelers? The positive is that you can get new fronts or missing pieces immediately and don’t have to wait long for the cabinets. If you choose quartz be prepared for a wait compared to Granite — since it’s man made and has to be ordered. Ours was on backorder. It took 6 weeks all together from templating until it was installed. Thanks for sharing your experience with us Corina! Feeling inspired by Corina’s ikea kitchen experience? Find out how we can help with your IKEA kitchen design. Learn more by clicking: Purchase a design from us today.